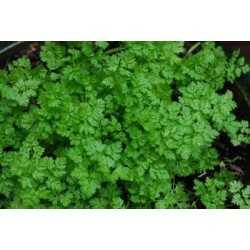 This Greek variety is very compact with small leaves. 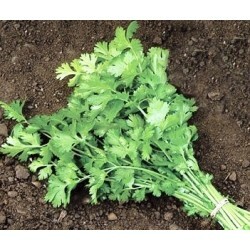 A fantastic, strong growing herb, excellent in any kitchen garden. The plants are very pretty, almost good as an ornamental if you like green foliage in your garden. 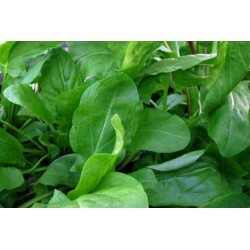 And the flavour of the leaves is outstanding and somewhat different than the classic Italian basil, best for garnishing summer meals and salads. Basil is an easy-to-grow, aromatic herb. Just a few seeds and a container of planting mix can provide you with enough fresh basil for all your favorite recipes. Basil plants grow equally well indoors or outdoors and under the right growing conditions will provide you with fresh herbs, if you sow the herb seeds continuously. 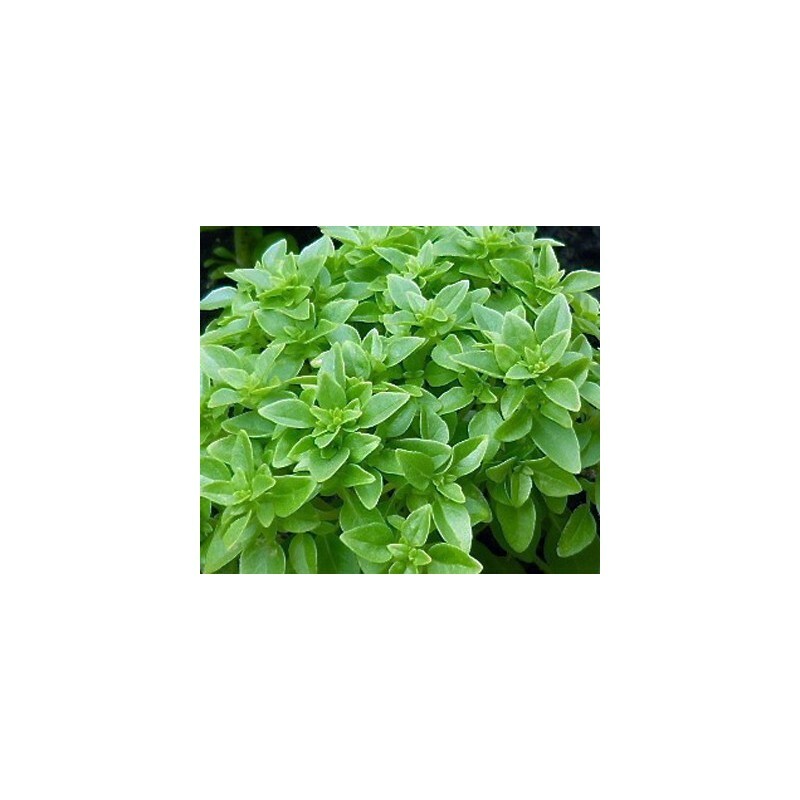 Greek basil is easy to grow from seeds, just like any other annual herb. Fill a seed tray almost to the top with a good quality planting soil mix. Dampen soil mix thoroughly by misting with water. The soil must be completely damp, but not soggy, for best results. Sow basil, and any small herb seeds, by sprinkling them all over the top of the damp soil. Sprinkle dry planting soil very lightly over the top of the seeds and place seed tray in a warm indoor location that is bright, but don’t place the seed tray in direct sunlight. Mist the soil of the seed tray lightly with water every day to keep soil moist, but not soggy. Don’t let the soil dry out between watering, but be careful not to over-water either. Placing a plastic cover over the basil seed tray will help retain soil moisture and increase humidity to prevent the soil from drying out. Be careful to remove the plastic cover as soon as seeds sprout to prevent the development of fungus on the tender seedlings. Keep the tray of growing basil plants in a warm, bright location (out of direct sunlight) and mist plants daily with water until they have developed their ‘true’ set of leaves. Seedlings start out with two leaves, the plant’s ‘true’ set of leaves are the second set of two leaves which develop on either side of the plant stem. When the true set of leaves develop, it’s time to transplant each basil plant into a larger pot. If the basil is destined to grow indoors, plant one seedling into a 6-8 inch container and place in a bright, indoor location. Keep growing seedling watered daily. If the basil plant will ultimately be planted outdoors, place seedling in a temporary home, like a Styrofoam cup of planting soil, until it’s large enough to go outdoors. When basil plant is 4-6 inches tall, set temporary container outdoors in a sheltered location during the daytime to harden plant off prior to transplanting it into the outdoor soil. Do this for two weeks prior planting, bringing the basil plant back indoors at night, to allow it time to get acclimated to outdoor living. 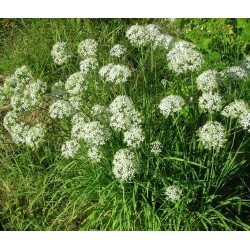 Plant into prepared garden soil in a sunny location when all danger of frost has past. Harvest leaves anytime plant is at least 4 inches tall.